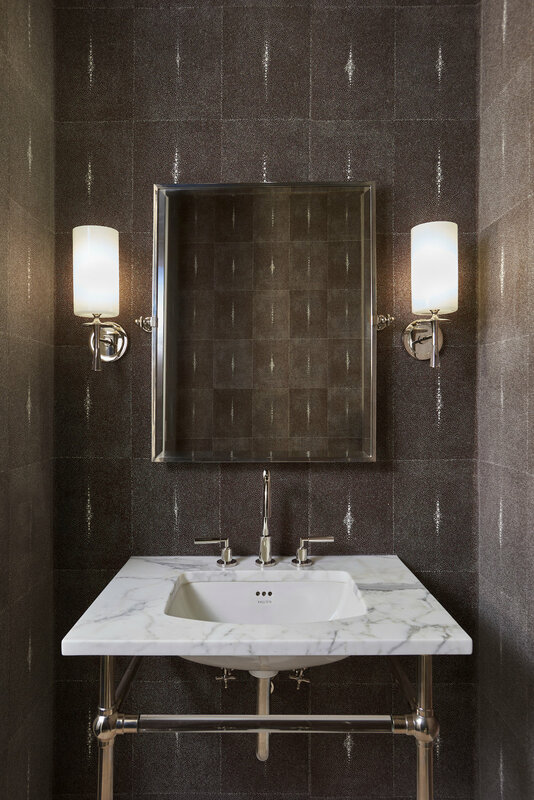 This Ritz Carlton condo interior design project, done by Hilary Bailes, is in the upscale neighborhood of Streeterville, along the famous Magnificent Mile in Chicago. 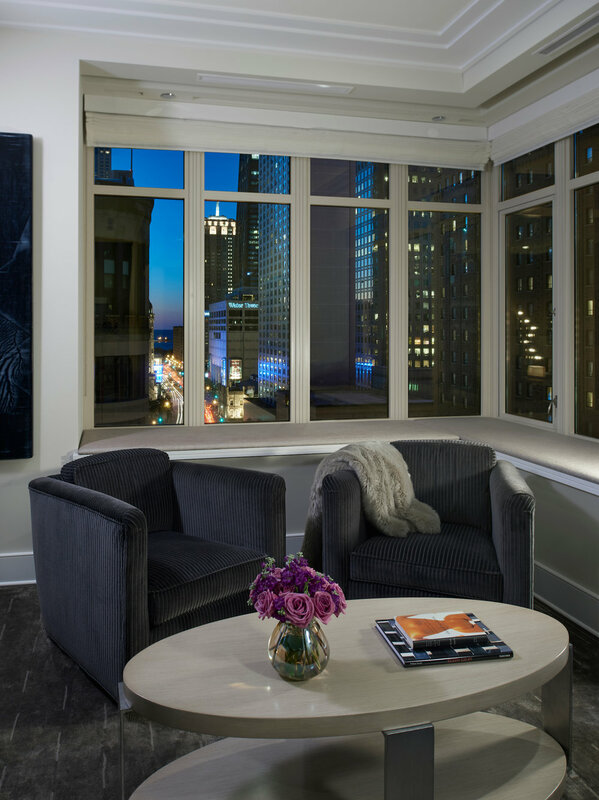 Designed for a busy couple who desired a sophisticated and urban 'home away from home' in Streeterville, Chicago. 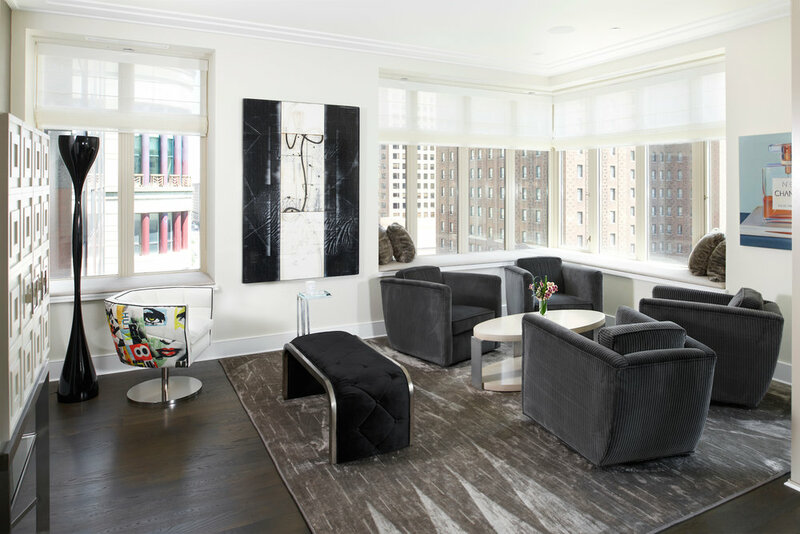 The interior design was developed to take full advantage of the amazing views down the Magnificent Mile and of Lake Michigan, incorporating an elegant yet relaxed seating area with full views of the city. 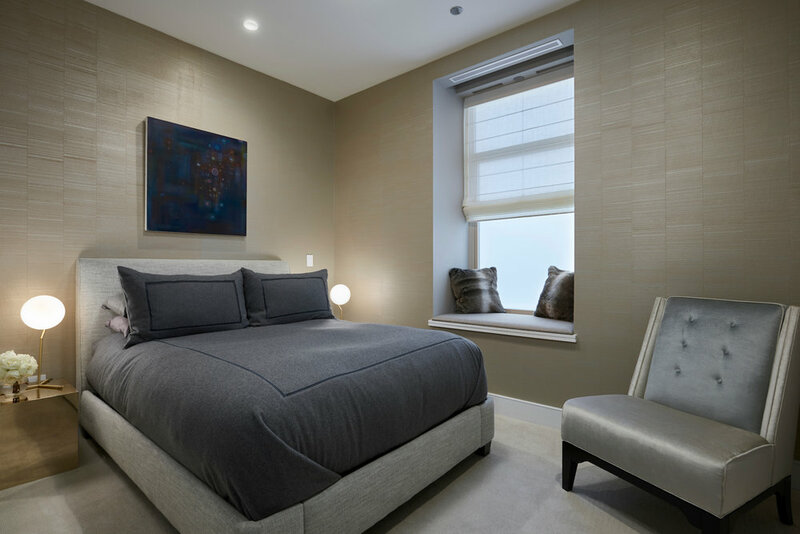 The furniture and finishes were selected to create a comfortable and spacious environment with luxurious fabrics and finishes that soften and add texture to the space. Art was installed that adds detail and color as a backdrop to a mostly monochromatic palette. The result is a calm and elegant contemporary interior.